Solar spot lights are incredibly popular, and widely used around the world by home and business owners, as well as municipalities (town, state and federal governments). Spot lighting is very popular, highlighting key aspects of landscaping, lighting signs and providing safety and security lighting in dark spaces. While the functional uses of solar spot lights are great, solar spot lights are generally used as a form of decorative solar lighting. Solar spot lights give you the ability to highlight key aspects of your landscaping such as plants, trees and fountains, statues, etc – allowing your home or business to look great, and pleasing, even at night. Interested in learning more? 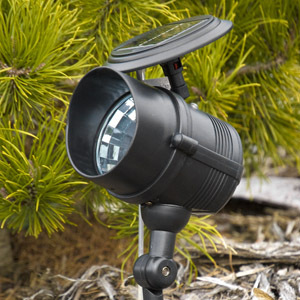 Check out all of our Solar Spot Lights here.